GOKPOP | Exclusive K-News in Malaysia & Singapore: Holiday Season is Approaching! 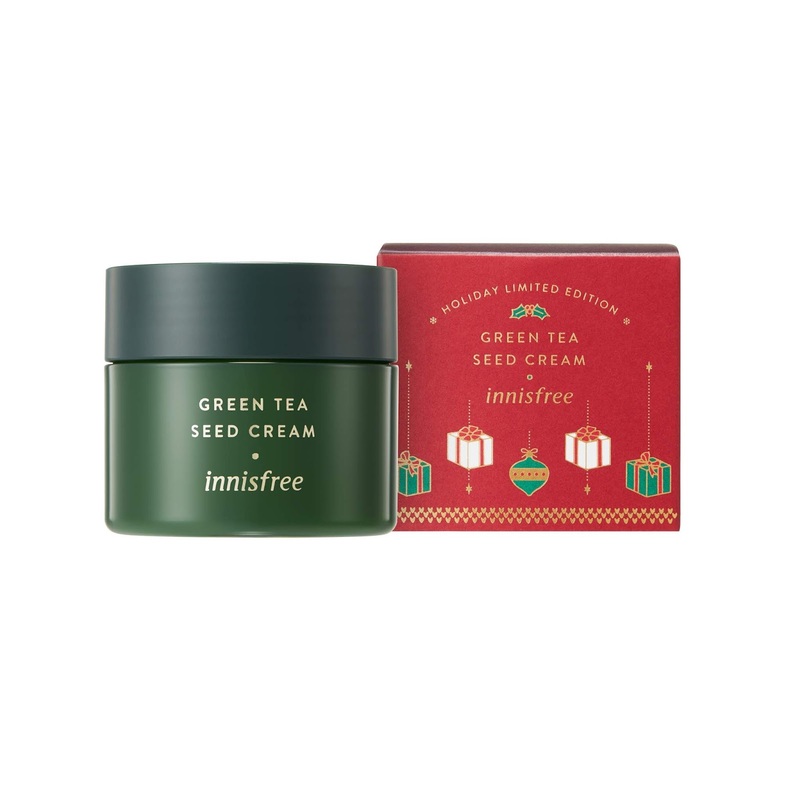 Get Ready To Celebrate Another Green Christmas with innisfree! Holiday Season is Approaching! 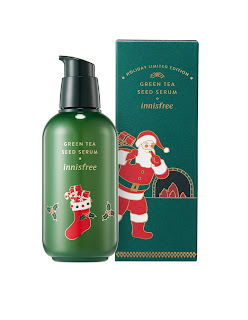 Get Ready To Celebrate Another Green Christmas with innisfree! As the end of the year approaches, we get ready to celebrate one of the most magical seasons of all. 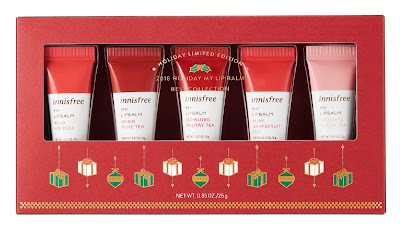 Advent is upon us and in true innisfree fashion, the brand is celebrating with yet another Green Christmas. As they have been, for years past, the brand will be releasing delightful DIY kits, limited edition products, and jumbo-sized versions of the brand’s most well-loved products featuring a decorative Christmas trim. Every year, inni-friends look forward to the Christmas DIY kit; this year’s will allow you to relive the thrill of waking up to gifts from Santa Claus on Christmas morning with innisfree’s DIY Christmas Stockings. 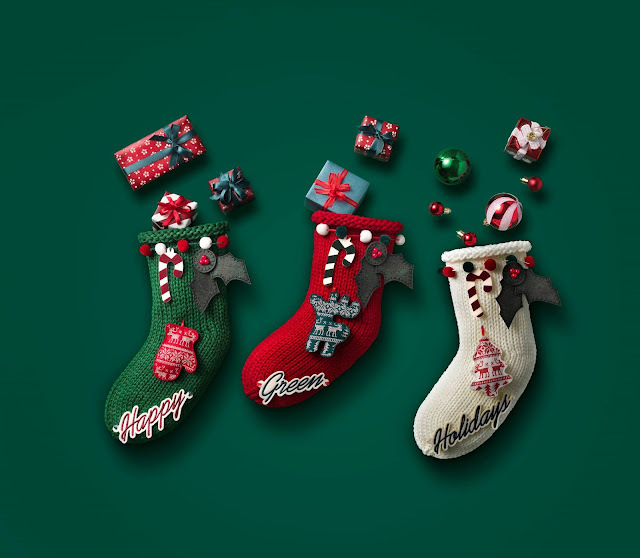 The kit comes in three colours, with assorted ornaments and tools that will allow you to customise your stocking. While innisfree encourages their inni-friends to “Make, Enjoy, Share”. For each DIY Christmas Stocking purchased, they will be donating RM10 to World Vision’s Malaysia Assistance Fund to support child-related development in areas of their livelihoods, education, health, and nutrition in Mukim Tulid and Tatalaan, Sabah. 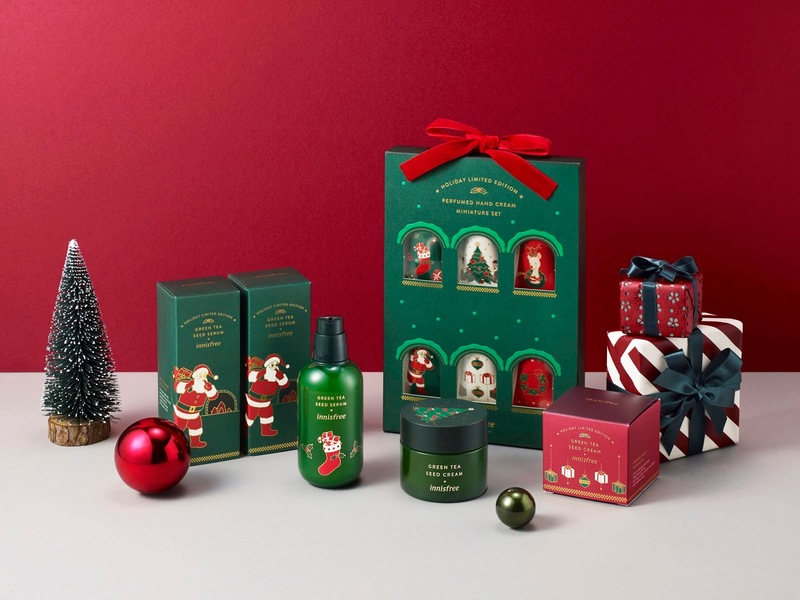 This season also brings you a chance to share your favourite innisfree products with your loved ones. 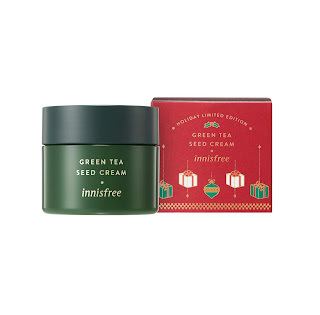 innisfree favourites like the Green Tea Seed Serum and Green Tea Seed Cream will be available in jumbo-sized bottles. The 3rd generation Green Tea Seed Serum is 3.5 times more enriched with 16 different amino acids with its newly upgraded ingredient - Beauty Green Tea. It helps to strengthen your skin’s barrier and retain moisture within your skin, for a clear and dewy complexion. The cream, however, gives a smooth gel texture that allows the product to be absorbed easily, leaving your skin supple and hydrated without any stickiness. 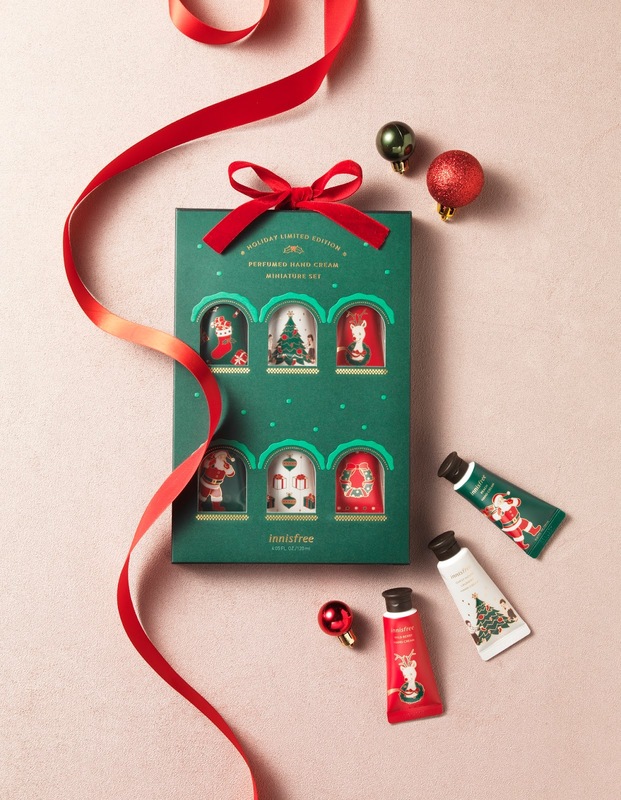 But if pocket-sized is more your style, then look no further than the 2018 Holiday Limited Edition My Lip Balm Best Collection and the Perfumed Hand Cream Miniature Set. 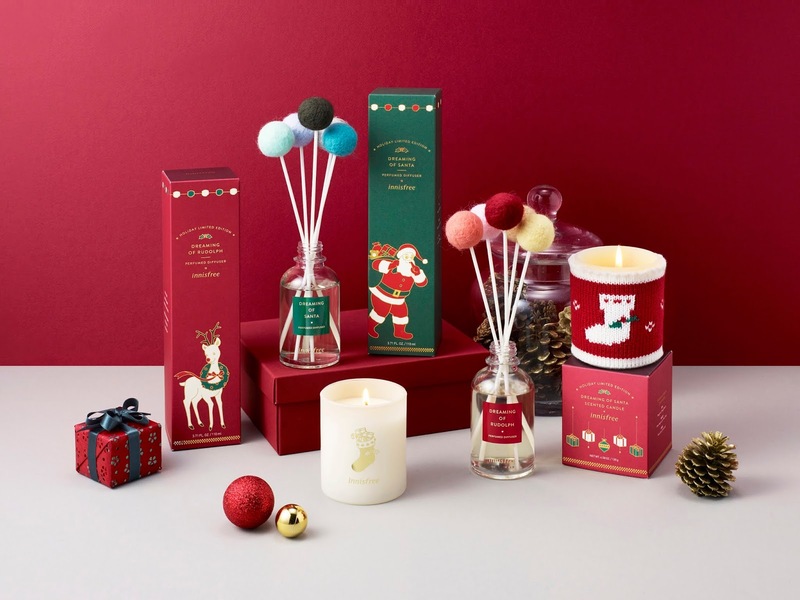 This will also be your chance to add the Dreaming of Santa Scented Candle and Dreaming of Rudolph or Santa Perfumed Diffuser into your home’s fragrance collection. Perfumed Hand Cream Miniature set come in a convenient size which allows you to moisturise your hands at anytime, anywhere, this Green Christmas. The Semi-Wax technology used in the hand creams allows the fragrance to be released slowly at a certain temperature, leading to longer lasting scents. innisfree 2018 Holiday Limited Edition products will be available from 1 November to 31 December 2018. With purchase up to RM120, complimentary gifts will be given.